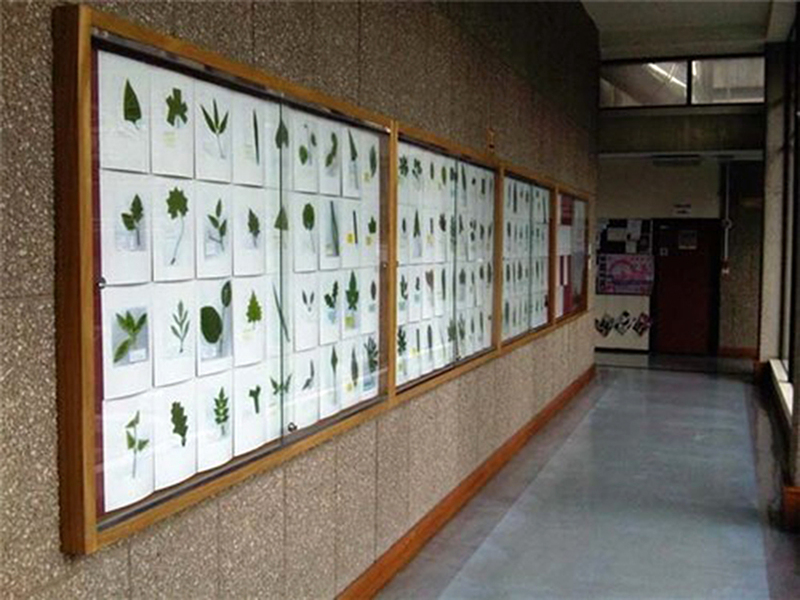 Photographic herbarium of leaves of over-cultivated species. 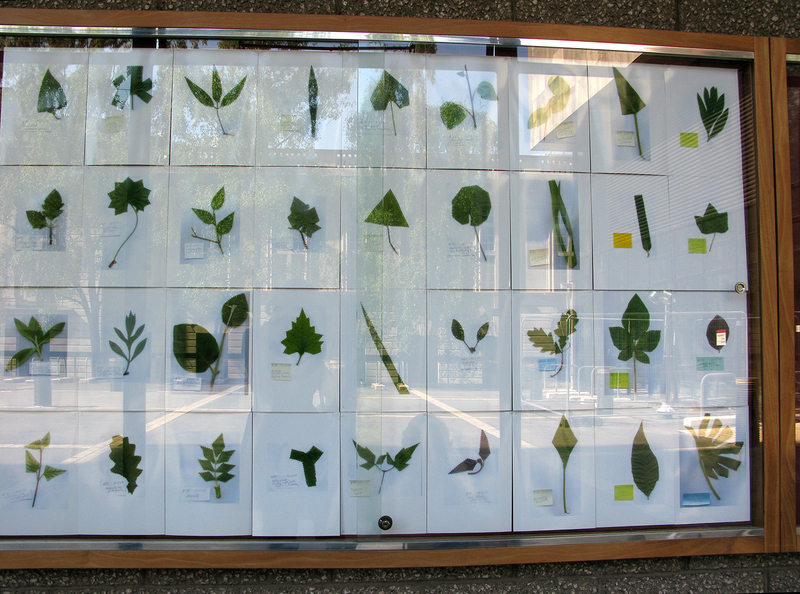 A series of leaf specimens of plants collected from my surroundings (urban, suburban, countryside). 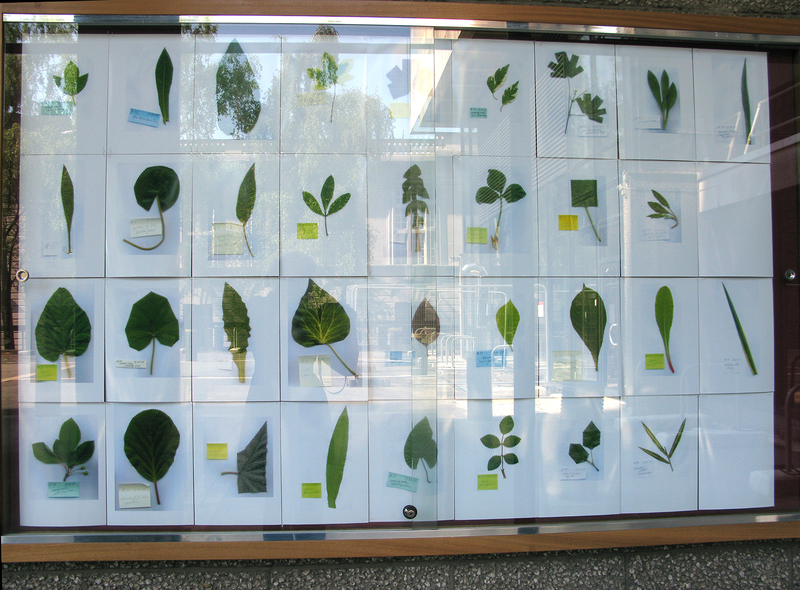 I intervened in the outlook of each leaf in a similar way. I found the newly created shapes, sometimes even squared or rectangled, fitted the plant better in for example its urban setting. 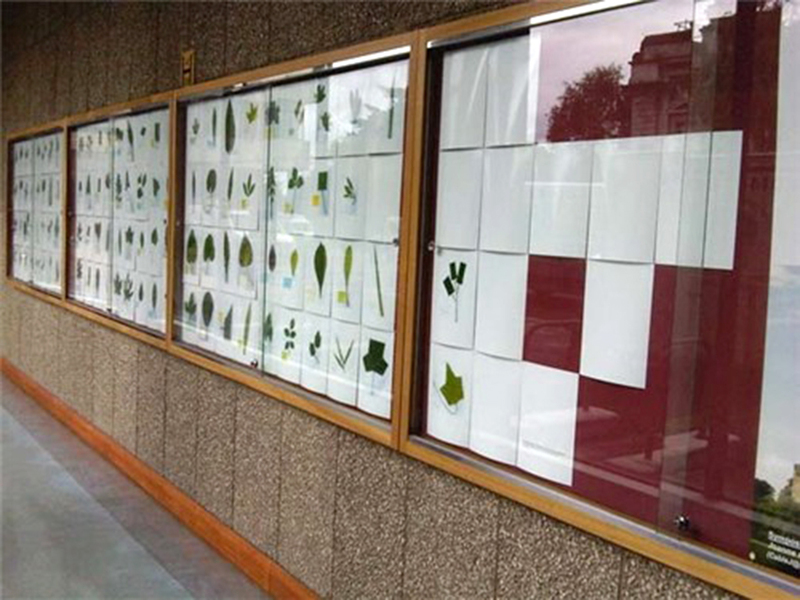 This act mirrors individual human actions of how they organise their natural surrounding (think of squared cut garden hedges etc). 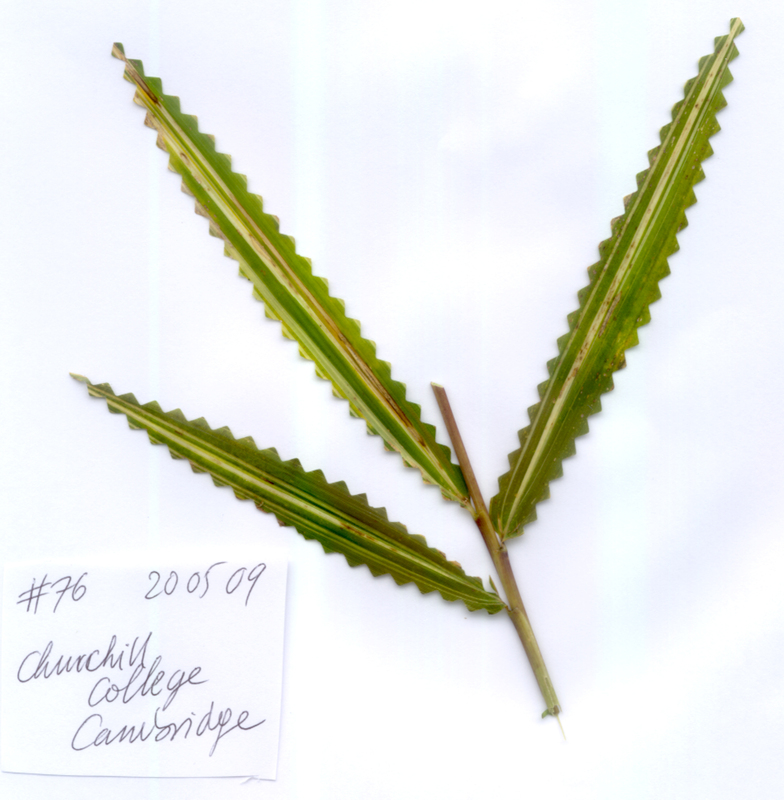 I mention next to the image of the leaf the place were I collected it or what I was doing, thus the images become like diary entrances of my life during the time of collecting these unique specimens. 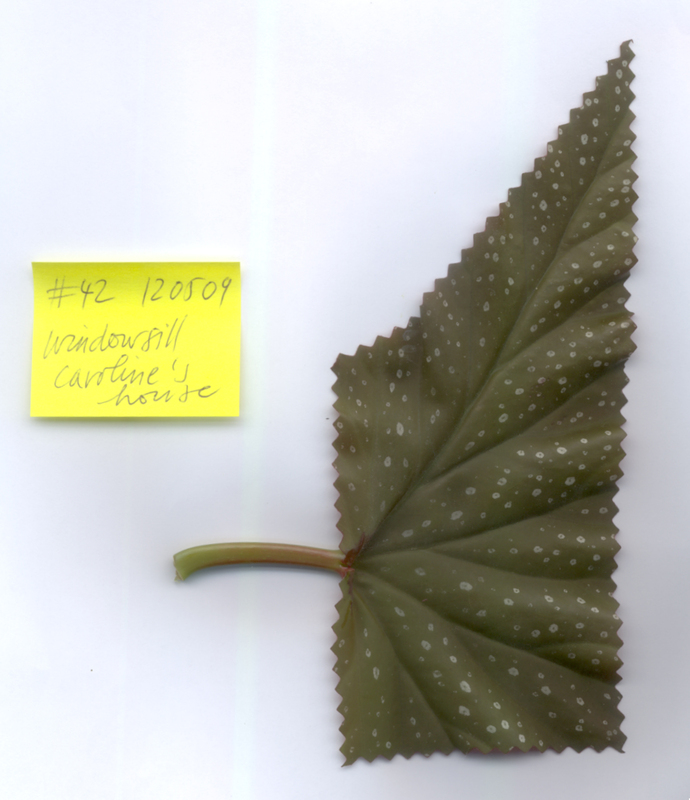 The leaves were scanned and the images all printed on A4 size paper, presented as a collection.